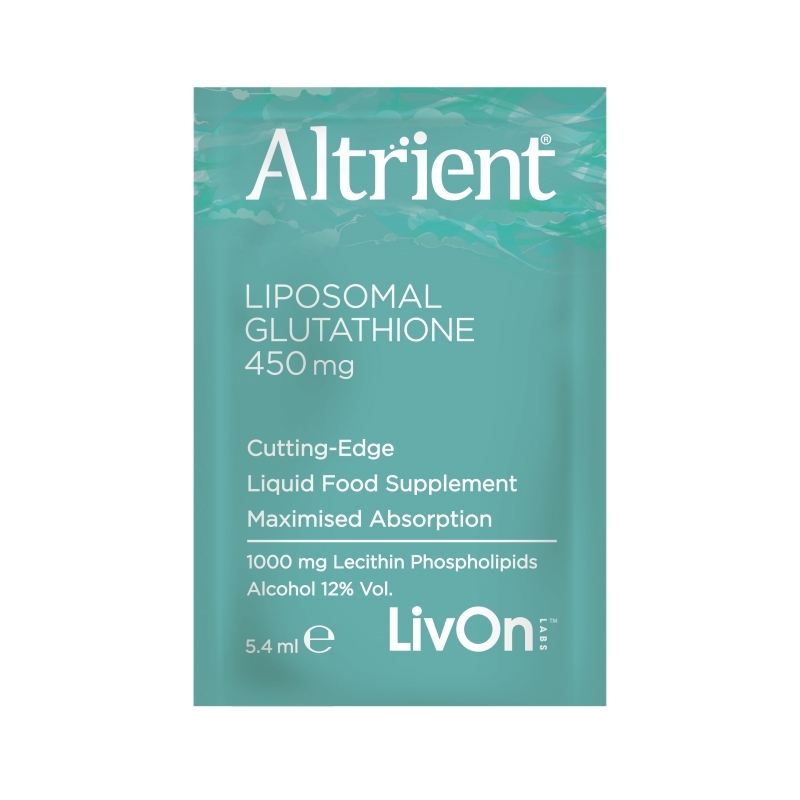 Altrient GSH is the highest quality liposomal glutathione with maximised absorption for maximised results due to our patented liposomal encapsulation technology process. Highly bio-available, using clinically proven formulas. Altrient Glutathione GSH (Setria Glutathione reduced form) is very high quality liposomal glutathione, providing superior absorption, outperforming traditional tablet forms* Placebo Controlled Trial Princeton Research 2017. We invest heavily in independent research to help support our claims and statements. 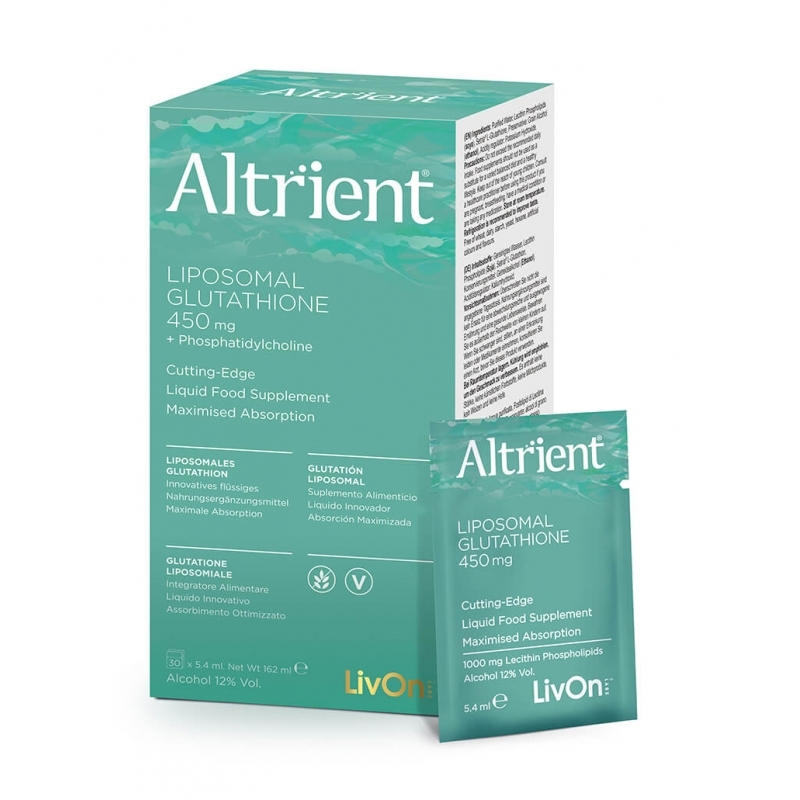 Altrient health supplements use cutting-edge Liposomal Encapsulation Technology (also known as lypo-spheric) to ensure maximum absorption, all the way to your cells, where good health begins. We only supply high grade liposomal gel made to the strictest quality standards. We guarantee a high quality and high concentration of liposomes in all our liposomal products. Altrient is manufactured in an NSF, GMP certified installation. Liposomes cannot be seen with the naked eye, their presence is confirmed with an electron microscope. Every cell in the body needs GSH. When a cell is depleted of GSH, it dies. As we age, our body's GSH production diminishes, leading to a detrimental drop in the cellular functions that help maintain a healthy heart, brain, eyes, liver, kidneys, pancreas, and joints. It has also been shown that the effect of physical and emotional stress, pathogens, toxins, free-radicals and ageing is to reduce your levels of glutathione. Altrient GSH encapsulates the GSH in liposomes made from Essential Phospholipids which protect it from being destroyed by digestive juices. Within minutes of taking Altrient GSH, the tiny liposomes are transported directly into the bloodstream, and into the cells. Altrient GSH: one of the most efficient and cost-effective ways to boost your levels of the essential antioxidant Glutathione Sulfhydryl. Bioavailability of up to 98% absorption is achieved because of a clever combination of Glutathione and essential phospholipids which form a major part of our cell membranes. Through the manufacturing process, phospholipids form tiny spheres around the glutathione. These spheres are known as liposomes. These microscopic liposomal spheres are almost 100% bioavailable. That is what makes Altrient GSH so effective, as almost all of the contents in each sachet gets into your system. LivOn Labs Smart Liposomal Spheres transport intact GSH - glutathione through the digestive system and directly into the bloodstream. From there it is further absorbed into the cells intact and ready to do its work. Other oral forms of glutathione are destroyed in the stomach so the only way to increase its levels was with injections or precursors. The three amino acid precursors used for the synthesis of GSH - glutathione are also used in the body for other purposes; as such it may be used before it gets to the cells. Also as we don´t know how much GSH glutathione the body will make from the surviving precursors so consistent dosing is very difficult. These two problems are solved by using liposomal glutathione to deliver intact GSH - glutathione directly into the blood. In fact, your body makes it using a protein known as a peptide. You find the highest concentration of this protein in your liver. This is no surprise as this organ cleans toxins from your body. It is a special antioxidant as it is the only one that can work with enzymes such as glutathione peroxidase preventing oxidization of membranes. It also helps activate vitamin E and vitamin C.
Getting glutathione into the body is not that simple as it is destroyed in the stomach. Liposomal Glutathione has the advantage of being protected from the stomach because of the clever manufacturing process used. Glutathione and essential phospholipids are combined to form tiny spheres known as liposomes, which are almost 100% bioavailable. Essential phospholipids encapsulate and protect it and then release it where it is needed. It is like having intravenous glutathione but orally. Ingredients: Deionized Water, L-Glutathione, Lecithin Phospholipids, Alcohol (ethanol 12% w/w). Contains no sugar, no starch, no artificial flavours, no artificial colours, no meat products, no dairy products, no wheat, no gluten and no yeast. Do not freeze or place the product in direct sunlight for extended periods of time. Shelf Life: When stored properly Altrient C™ will stay 100% effective for a minimum of 18 months from the date of manufacture. The expiration date is on the bottom of each carton and on each packet as “EXP --/--”.